Cyberwarfare has the potential to cause nationwide destruction. It is a network or computer-based conflict. Cyberwarfare is usually the result of a politically motivated attack on one nation-state by a rival nation-state. A dark grey somber sky. The unsettling boom of canons being fired. The rolling out of juggernaut tanks. The jarring reverberation of air-dropped bombs. This is the usual heart-wrenching scene of a war zone. Enter, the 21st century Digital Era. 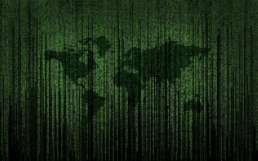 Now, the Internet and a computer are all that is needed in a nation’s arsenal of weapons of mass destruction to launch the new-age warfare – Cyberwarfare. Guess technology has advanced to such grave levels that it has formed an albatross around the neck of its very creators. Cyberwarfare is executed with the motive of cyber espionage or other strategic or military intentions. These are targeted at disrupting the activities of the target organization or nation. Cyberwarfare usually refers to cyberattacks launched by one nation-state on another. 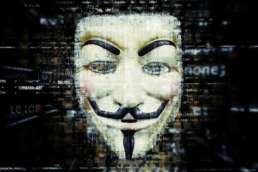 However, it may also include the attacks initiated by hacker groups and terrorist organizations. Usually, such attacks are executed by covert actors trained in carrying out Advanced Persistent Threat (APT). Therefore, it often is quite challenging to attribute a cyberwarfare to a particular nation-state. No single incident can be attributed to the first trigger of a global cyberwarfare. Nonetheless, the 1988 Morris Worm sure deserves a mention here. The North Atlantic Treaty Organization (NATO) considers the Morris Worm as the first instance of cyberwarfare on a global level. The title of the first acclaimed ‘digital weapon’ rests with ‘Stuxnet’. Back in 2010, the nuclear enrichment facility of Iran at Natanz was targeted by Stuxnet. The attack was nicknamed ‘Operation Olympic Games’ and is believed to be executed jointly by Isreal and the US. The nasty code was administered through an infected USB stick. It completely disrupted Tehran’s nuclear bomb program as it paralyzed the hardware and software of many of the facility’s centrifuges. In fact, Stuxnet is a computer worm that is specifically designed to target programmable logic controllers or PLCs. These are the devices that are used to control electromechanical processes such as assembly lines in factories, centrifuges, amusement rides etc. Computer viruses, malware, and worms: These could be used to take control of a nation’s power grid, military systems, transportation systems, nuclear plants and other critical infrastructures. Denial-of-service (DoS): DoS attacks can be launched by attackers which blocks a legitimate user’s access to the target computer system, device or other network resources. Hacking: Hacking critical networks could enable the attackers to extract sensitive data from government institutions and businesses. Ransomware: attacks need no introduction in the recent wake of attacks across the world. These could hold computer systems hostage till a ransom amount is paid by the victims. Memcached: This is the latest addition to the arsenal of launching DDoS attacks. ‘Memcached’ is a caching system meant for speeding up networks and websites. But, it is now being maliciously utilized by cyber miscreants to amplify DDoS attacks by a factor as high as 51,000. In March 2014, the Russian government allegedly carried out a DDoS attack on the Ukrainian internet. It was intended to facilitate pro-Russian insurgents to take control of Crimea. A couple of months later, just before Ukraine’s presidential elections in May, a Russia-based hacking group brought down its election commission’s system. This was with the intent of disrupting the election to support the pro-Russian candidate. Though Ukraine’s cyber experts managed to resume the systems just before the election, one could well imagine the extent to which havoc could be wreaked through this cyberattack. 2015 witnessed a cyberattack on 20,000 computers being used by German politicians, civil servants and support staff in the German parliament. Russian Intelligence Agencies are alleged for the execution of this attack. The attack resulted in the stealing of confidential data and the demanding of millions of euros by the attackers to undo the damage! USA, Russia, and China are the major discernable sources behind most incidents of cyberwarfare against other countries. There is already enough speculation about the US Presidential Elections of 2016 being hacked by Russia. However, China too has etched its name in the not-so-glorious history of cyberespionage with incidents like ‘Titan Rain’ in its wall of fame. It involved bombarding US defense networks with cyberattacks with the intention of extracting sensitive information pertaining to their national security. In December 2016, Ukraine found itself in the midst of another cyberwarfare when cyberattacks targeted at three of their regional power distribution companies resulted in a major blackout. The miscreants managed to launch a DDoS attack on phone lines along with a malware for destroying confidential data belonging to the target companies. Although the power was restored within hours, it took the target companies months to restore the normalcy of the control centers that were attacked. Memcached is the latest menace in the world of cyberwarfare. An open-source tool, it has the potential of transforming a small domestic computer with an upload capacity of 100 Megabit per second from its ISP to a bombarding monster that can launch 5 terabits per second of traffic at the targeted systems. The recent memcached-fueled attack of 1.3 Tb per second against one of the world’s leading software development platform, GitHub, is only a small reflection of its potency. The even latest Memcached- based attack of 1.7 Tbps reported on March 5 is the perfect portrayal of the magnitude of destruction that our world is headed to in the future that awaits us. It requires a basic three-step strategy for any organization or nation to defend itself from the perils of cyberwarfare. 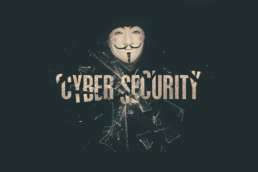 First, adopt adequate cyber security measures to reduce vulnerability. Second, adopt a steady mechanism to identify and mitigate the impact of cyberattacks promptly. And third, be ready to respond to all levels of cyberwarfare in kind. It requires a holistic approach to protect a nation against cyberwarfare. This not only involves advanced cyber intelligence and cyber security mechanisms but also an end to the bureaucracy that often results in the impediment of prompt cyber security operations. Incognito Forensic Foundation (IFF Lab) can be your partner for ensuring an end-to-end security from sophisticated and complex cyber threats. It is a private forensic lab headquartered in Chennai and has a pan-Indian presence. IFF Lab has cyber and digital forensic experts handpicked from premier institutes and a state-of-the-art forensics laboratory. It has both the expertise as well as the experience of assisting organizations in the identification and mitigation of cyber threats. By keeping abreast of the latest in technology and the incumbent threat landscape, IFF Lab strives to stay a step ahead of the rest in keeping a nation “cyber safe”.